Farooq Naiyer is shared Chief Information Security Officer at ORION and eight post-secondary education institutions in Ontario. Previously he was part of the Cybersecurity and Privacy team at PwC in Canada where he led several cyber security engagements. 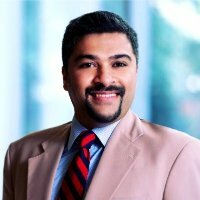 He also led IT assurance teams for a leading Canadian retailer and held leadership roles in leading financial institutions in the Middle East and South Asia.